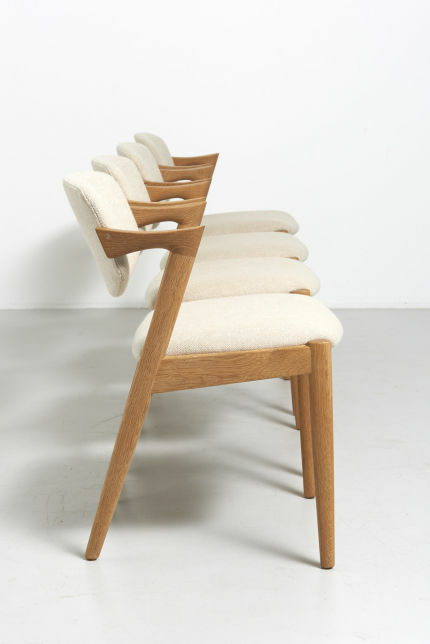 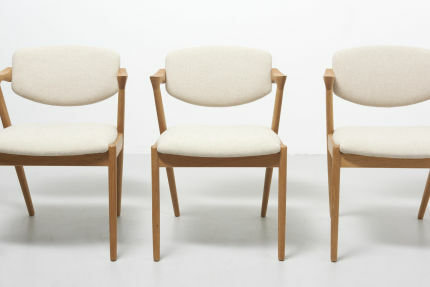 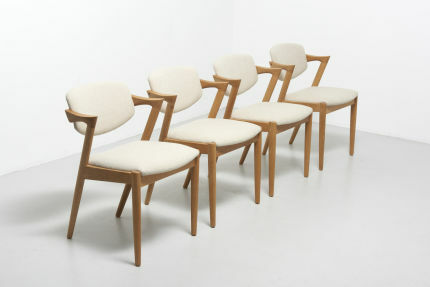 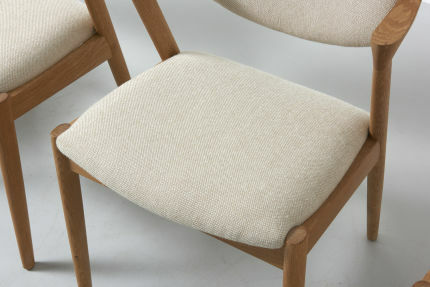 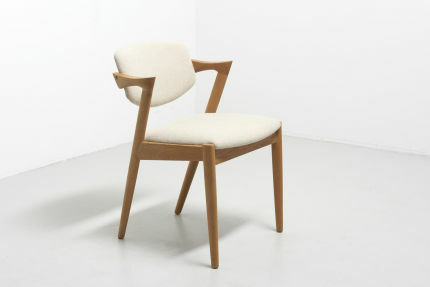 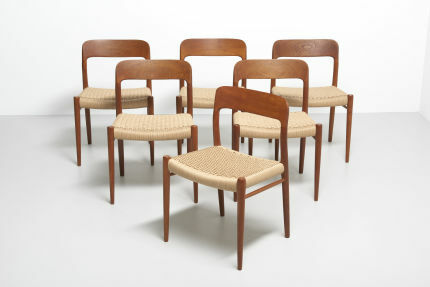 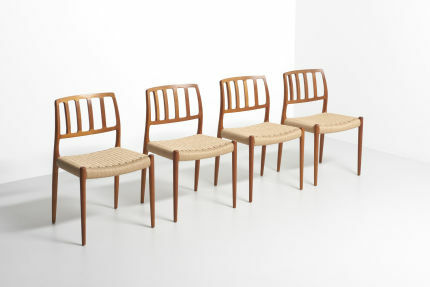 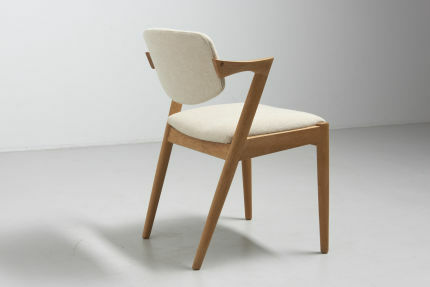 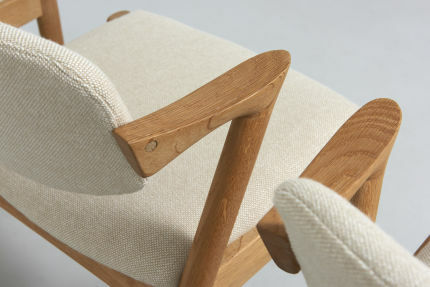 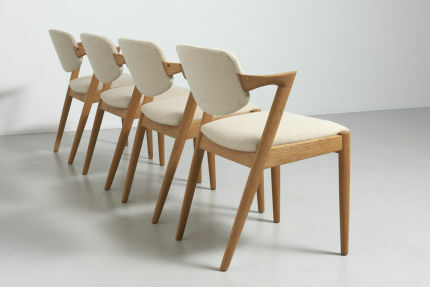 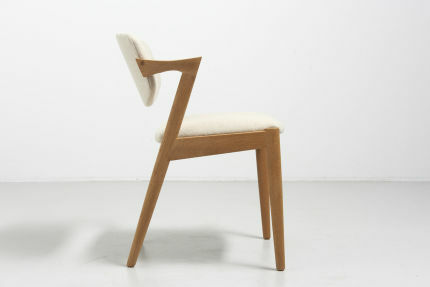 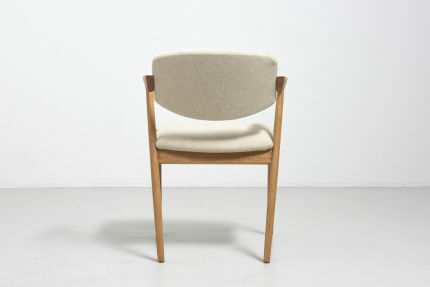 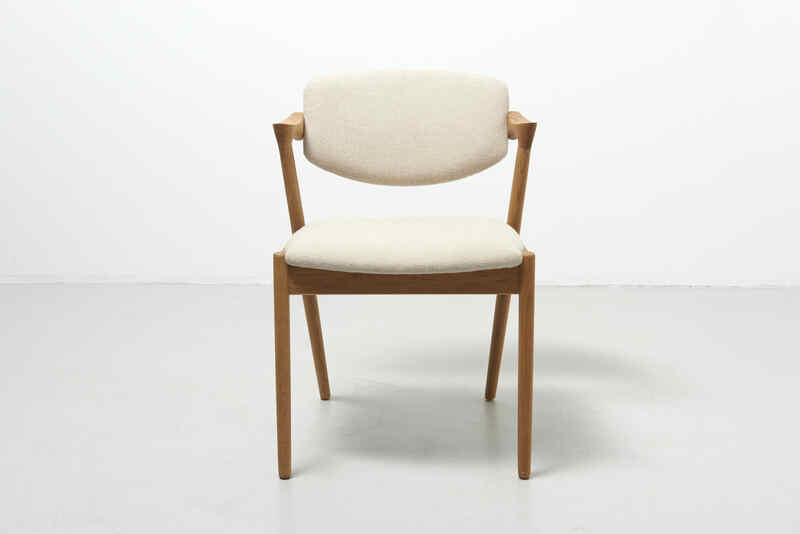 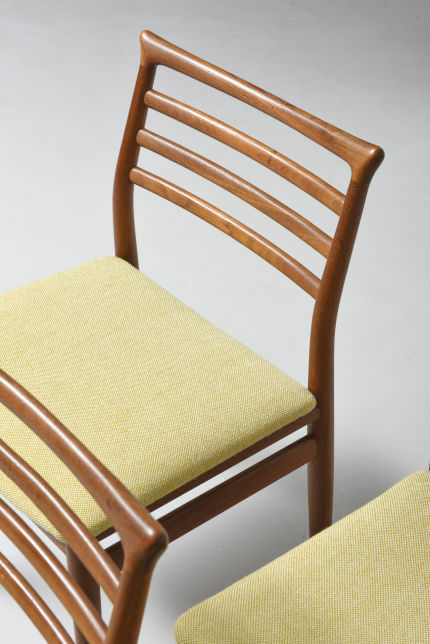 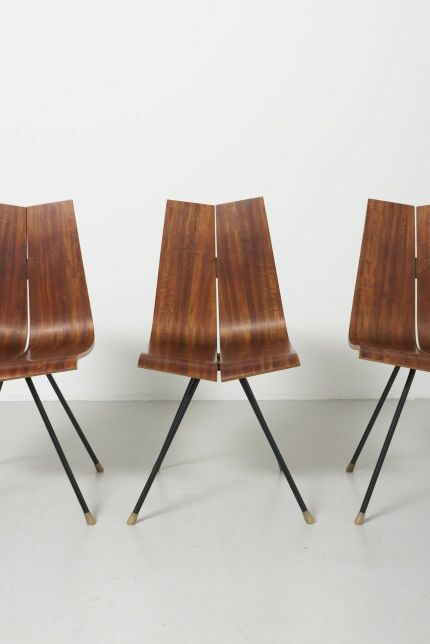 Set of 4 dining chairs Model 42 in oak with the new upholstery, in Hallingdal by Kvadrat. 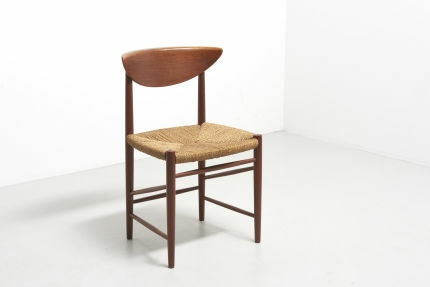 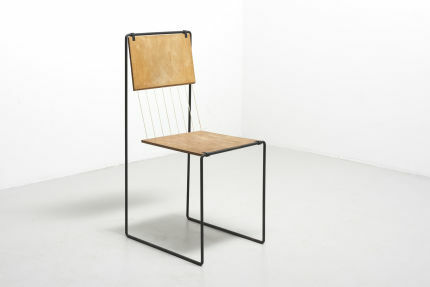 Design by Kai Kristiansen in 1963. The tilting backs and carved armrests are designed for comfort as well as beauty. 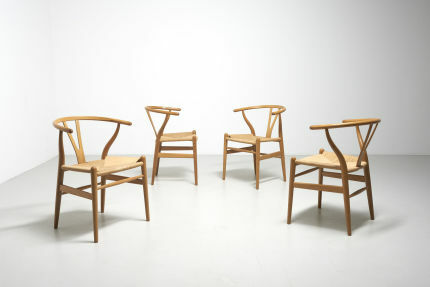 Made by V. Schou Andersen in Denmark.